The Beneteau Ocenis 510 is a performance cruiser with the ultimate in interior design and comfort. The interior is spacious, light and airy providing the highest degree of privacy. Each double cabin is fitted with its own private ensuite head and shower. Two crew berths provided additional space. The rates listed above are based on two guests. As the number of guests increase, the charter rate increases accordingly. Please contact us for full rates. 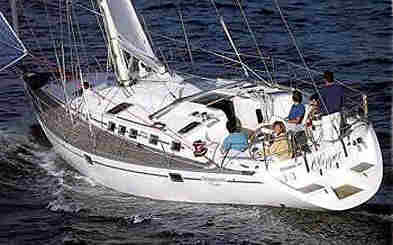 The charter fee includes the fully equipped yacht, 2 crew, meals and drinks, fuel, mooring fees and taxes. Not included is a gratuity of at least 10%. 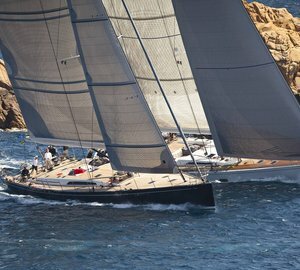 SPECIAL - UNTIL THE 31 AUGUST, CHARTER FOR 8 NIGHTS FOR THE PRICE OF 6. The Beneteau Oceanis 510 has four double cabins all with private heads and shower. Two double cabins are forward, two are aft. There are also two crew berths. The Beneateau Oceanis 510 has classic slab and roller reefing, two wheel steering, electric anchor winch and autopilot. There is a bimini and dodger, an ondeck shower, swimming and boarding ladder,BBQ,AM/FM radio & CD player, fully equipped galley with LPG stove & oven, fridge/freezer, pre-charter cruising guides, full boat and chart briefing. Optional extras include an outboard engine for the tender, sea kayaks, a skipper and a provisioning service.